We are excited to announce that this year’s Delamere Dairy Main Ring attraction is Big Pete & the Grim Reaper Monster Truck Team. Weighing in at 7.5 tons these awesome machines are built for one reason only – mass destruction! Big Pete is one of Europe’s largest Monster Trucks with a full-size American truck body and is now partnered by the Grim Reaper. This is a chance to watch two real Monster Trucks at work jumping over cars and crushing caravans. Jumping 15ft in the air is an impressive sight for any event and these Monster Trucks will crush anything in their path. 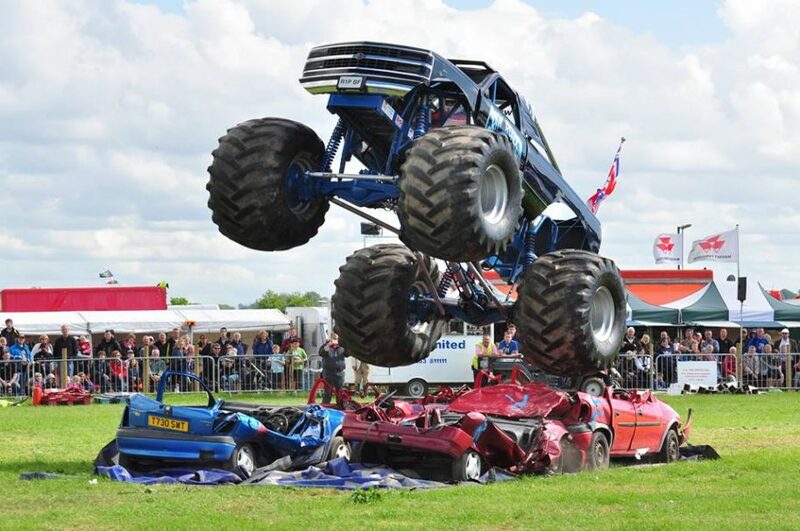 See two Monster Trucks working alongside each other in a tug of war and pulling a car or a caravan in tow. This is guaranteed to be a big favourite with the audience. It is an action-packed performance with amusing and entertaining radio commentary by the driver throughout the display. Between displays the public are invited to meet the team in the holding area and there will be an opportunity to have photos taken with a real monster truck.